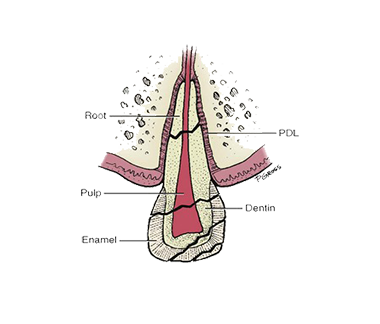 What is Root Canal Treatment ? And why do I need RCT ? Why do you get Pain ? Nerve tissue inside the root canal, gets infected due to (deep decay, repeated dental procedures on the tooth, or a crack or chip in the tooth). Signs include pain, prolonged sensitivity to heat or cold, tenderness to touch and chewing, discoloration of the tooth, swelling and tenderness in the nearby gums. Sometimes, however, there are no symptoms. 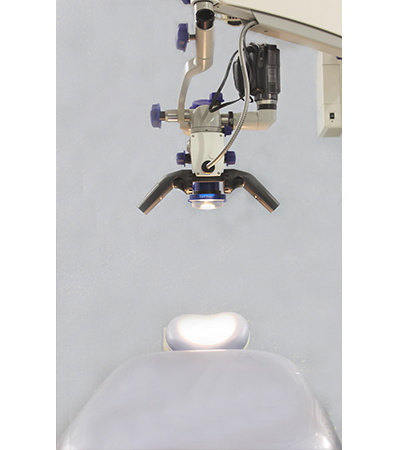 Roots Dental is one of the first to have installed Surgical Operating Microscope for Carl Zeiss, Germany to provide best treatment outcomes in Root Canal Treatment. The Surgical Microscope enhances and magnifies tooth structures up to 25 times than their original size. This aids in Minimal Invasive approach to treat all the clinical problems that cannot be seen by the naked eyes. At Roots Dental we use microscopes for all Root Canal Treatments. Long term and higher success rate of Root Canal Treatment. Highest level of precession in delivery of treatment. At Roots Dental, root canal treatment procedures are done in a single visit with scientific approach to mostly reduce fear and anxiety and ensure comfort. With proper care, most teeth that have had root canal treated can last as long as other natural teeth if performed by a specialist with use of modern technology to deliver the care. Have you experienced a Traumatic Dental Injury ? At Root Dental we are experts in emergency care we can help to save your natural tooth using the latest treatments and technology. What can you expect immediately after your treatment? It’s normal to experience mild to moderate discomfort following endodontic treatment, especially when chewing. This is due to a healing response at the root ends and the injection sites and is completely normal. Take the prescribed pain killers as per the doctors advise. Be careful to avoid biting or burning your lip or cheek while your mouth is numb. Softer foods are advisable in the first few days and avoid hot food for few days. We recommend that you continue with good oral hygiene, tooth brushing, and flossing. If you experience swelling or fever after the root canal therapy, if these symptoms occur, please contact us for further advice. Depending on the condition of the tooth prior to the root canal treatment, the healing phase may take longer than predicted. Please be patient with this process as it can take several weeks, or occasionally longer, for a full resolution of symptoms. At Roots Dental we have a very long follow up of all cases treated by means of evaluating the procedures by providing a complimentary radiograph (X-rays Evaluation of the tooth) annually.